राजस्थान लोक सेवा आयोग प्राध्यापक भर्ती २०१८ – Are you interested and eligible for govt. teacher vacancy? If yes, then here is latest and good news for you. Recently, RPSC Teacher Recruitment 2018 Notification has released for filling up 5000 School Lecturer Vacancy. Applicants if you are interested in RPSC 1st Grade Teacher Jobs can fill the online form. The online application form is available here as well as official site. Participants who are going to fill RPSC School Lecturer Vacancy form before the last date 16.06.2018. Furthermore information you can collect from here on below section. Rajasthan Public Service Commission recently published various recruitment notification like teacher, ASO, SI, AARO, AE, RAS and others. So Here our team provide all information related to RPSC Teacher Recruitment & other vacancies you can get from this portal. The online submission for Rajasthan PSC 1st Grade Teacher recruitment is started from 17.05.2018. Interested applicants also read information like eligibility criteria, application fees, selection process and others. Fresh Update as on: Candidates are informed that Online Registration for Senior Teacher Post has started from today onwards (10.05.2018) Applicants can fill their application form with the help of links given here. Participants may also check details related to RPSC Senior Teacher Recruitment 2018 given below. Fresh Update (24.04.2018) : RPSC 2nd Grade Recruitment 2018 Online Registration process for 690 Vacancies is started from 23.04.2018. Applicants who wants to fill up the online form may send their forms from the official links given below. Who Are Eligible For RPSC Sr. Teacher Recruitment 2018? What is the Selection Criteria for Rajasthan PSC 2n Grade Teacher Recruitment 2018? RPSC Sr. Teacher Vacancy Application Fee. Desired Candidates before fill up the RPSC Teacher Recruitment 2018 should check the eligibility conditions. Applicants who are eligible for Rajasthan PSC 1st Grade Teacher Vacancy can apply for it. In includes details of education qualification, age limit and others. Applicants who fill up RPSC Teacher Jobs form must hold B.Ed Degree from the recognized university. Candidates also have Post Graduation Degree in the relevant subject. Participants who are attend the final year examination can also apply for RPSC Teacher Vacancy. Furthermore, information check below notification. As on 01.07.2018 applicants, minimum age is require 21 years. The maximum age limit require for RPSC Teacher Jobs is 40 years. The upper age limit is mention on below section. Candidates who are going to fill up RPSC Teacher Job application form must require paying application fees. The application fees is decided by the department for all categories. Check below section for more information of Rajasthan PSC Teacher Vacancy 2018 details. If you are selected you get attractive salary by department. For RPSC 1st Grade Teacher Job the monthly salary will be made according to pay scale matrix L-12. Furthermore information check official notification mention below. Applicants selection will be made on the basis of competitive examination. Applicants who are qualify the written test then they will appoint for RPSC 1st Grade Teacher Vacancy. The exam Pattern & RPSC School Lecturer Syllabus is mention below. Applicants who are interested and deserving also for RPSC Teacher Recruitment 2018 can fill online form. The online registration is starts from 17.05.2018. Last date of submission RPSC 1st Grade Teacher Vacancy is 16.06.2018. Before apply to fill online application form candidates must have valid email id, mobile no. and scan copy of require documents. After that you can follow some given below steps to fill RPSC Teacher Vacancy Application Form. First of all go to official site www.rpsc.rajasthan.gov.in. Check RSPC School Lecturer Advertisement on Candidate information corner. Download it and then read all information carefully. Go to SSO portal sso.rajasthan.gov.in. If you already have SSO Id then login direct on it. And if you don’t have SSO id then register first on it. Then go to recruitment section. Enter all require information on RPSC Teacher Recruitment 2018. Then submit your RPSC School Lecturer Job form. Take print out of your online form for future uses. Conclusion : Rajasthan Public Service Commission (RPSC) has issued recruitment notification for 5000 School Lecturer Vacancy. Applicants can fill RPSC Teacher Recruitment 2018 online form either here or official site. The last date of submit application form is 16.06.2018. Full information of RPSC 1st Grade Teacher Recruitment 2018 is available on above section. Are you seeking teaching jobs? Are you searching RPSC Senior Teacher Recruitment 2018? If yes then here is the latest news for you. Rajasthan Public Service Commission has recently announced one more employment advertisement for filling up 9000 Sr. Teacher (वरिष्ठ अध्यापक) Vacancies. Wishing and willing applicants can fill RPSC Teacher Recruitment Online Form either here or official site. The online registration for RPSC 2nd Grade Teacher Vacancy is starting from 10.05.2018. The last date for submitting online application is 09.06.2018. Furthermore information you can collect to read full article carefully. राजस्थान लोक सेवा आयोग is inviting online application for 9000+ वरिष्ठ अध्यापक भर्ती 2018. The RPSC Sr. Teacher Recruitment Notification is released for filling up Gr. II Post. All information of Rajasthan Public Service Commission Teacher Jobs we provide for you in this article. The examination is organized to choose a better teacher in the government schools. 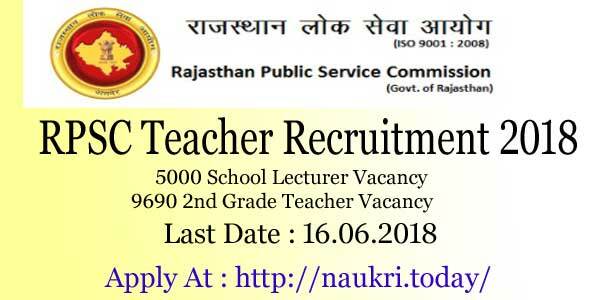 The RPSC Teacher Job Notification, you can download either here or official site. The examination is organized for candidates who are interested in teaching jobs. Rest details of RPSC 2nd Grade Teacher Recruitment you require to check this article carefully. Candidates should be completed their Graduation with concern subject from recognized university. An applicant also has Degree or Diploma in Education for RPSC Teacher Recruitment 2018. Furthermore, information checks official notification. As on 01.01.2019, the minimum age requires for Rajasthan PSC Sr. Teacher jobs is 18 years. Applicants should not be more than 40 years. The upper age relaxation is also applicable for RPSC Teacher Job 2018. Others information of upper age relaxation you should check official notification. After qualify, the written examination applicants will receive a monthly salary. The monthly salary of RPSC Sr. Teacher Bharti is made according to Pay level –11. Furthermore, the information you can check out official advertisement of RPSC Teacher Vacancy. In below section check details of application fees and selection criteria. For filling up Rajasthan PSC 2nd Grade Teacher Vacancy online form all applicants require paying an application fee. General and OBC Creamy layer candidates have to pay Rs. 350/-. While OBC (Non- Creamy Layer) candidates need to pay Rs. 250/- For RPSC Teacher Recruitment 2018. SC/ST category of Rajasthan require paying Rs. 150/- towards application fees. The department will organize the written test for filling up RPSC Teacher Vacancy 2018. Qualify candidates will be called for documents verification. There will be 02 paper organize for selection of RPSC 02nd Grade Teacher Job. Furthermore, details check RPSC Teacher Exam Syllabus 2018. Applicants who want to desire and also eligible for RPSC Sr. Teacher Vacancy may apply through online mode. The online application form will start from 10th May 2018. If you are going to fill RPSC Teacher Job Application Form you must hold valid email id. You also have scan copy of photograph & signature. Applicants who can’t understand how to fill RPSC Sr. Teacher Recruitment online form they can follow some below steps. First of all, go to official site rpsc.rajasthan.gov.in. Download Rajasthan PSC Sr. Teacher Job Notification 2018. After that, you go to SSO portal sso.rajasthan.gov.in. If you do not register at SSO portal, first you must register on it. If you already register on it then login at portal. Enter all require information on RPSC Teacher Recruitment 2018 Online Form. Submit your RPSC 2nd Grade Teacher Recruitment application form. You can directly apply online from given below link. Conclusion : Rajasthan Public Service Commission has published an advertisement for recruitment of 9000 Senior Teacher Vacancy. Applicants can fill RPSC Teacher Recruitment 2018 online form either here or official site. You can fill RPSC 2nd Grade Teacher Recruitment online form from 10.05.2018 to 09.06.2018. Do you want to apply for RPSC Teacher Recruitment 2018? then here comes the fine opportunity for you. Rajasthan PSC department has announced RPSC 2nd Grade Recruitment 2018 on 690 vacancies. The notification is available for Senior Teacher Jobs in TSP and Non-TSP Areas. Interested participants may apply online from 23.04.2018. The last date to submit a fully filled application form for RPSC Sr. Teacher Vacancy is 12.05.2018. Participants who are interested in Teaching Jobs must fill up their Application Form before the last date i.e. 12th May 2018. Candidates may also check a number of vacancies available in TSP and Non-TSP area. Here we also provided you RPSC Teacher Recruitment 2018 Pdf for applying candidates. Applicants can apply either from this page or from the official website of Rajasthan PSC 2nd Grade Teacher Jobs 2018. Candidates who are going to apply for RPSC Senior Teacher Jobs 2018 must read this article carefully. Participants should check details of vacancy given below for RPSC Teacher Jobs 2018. Candidates who are going to apply for RPSC Teacher Recruitment 2018 must check area wise division of vacancies. Here we provided you vacancy details in two parts: TSP Area and Non-TSP Area. Applicants those who are interested in government Jobs must apply for Rajasthan PSC 2nd Grade Jobs 2018 before the last date. Participants must fill up their Application Forms correctly otherwise their forms will be rejected, Candidates may also consult to RPSC 2nd Grade Vacancy 2018 Notification at the official website or from links provided here. Here we provided you Details related to Minimum Age, Pay Scale and Much more for RPSC Teacher Jobs 2018. For Sanskrit Teacher: Candidates must hold Degree of Shastri or equivalent Traditional Examination from Sanskrit Medium. Participants may also have Shastri Shiksha/Degree or Diploma in Sanskrit recognized from National Council for Teaching Education. For Hindi, English and Maths Teacher: Participant must have Graduation Degree in their particular Subject or its equivalent Degree recognized from National Council For Teaching Education. Science Teacher: Applicants must hold Graduation Degree with at least two of them as the main subject such as Physic, chemistry, Zoology, Botany, etc. For Social Science: Aspirants must hold Graduation Degree with at least two of them as the main subject such as History, Geography, Economic, Political Science, etc. For more details, candidates should check RPSC Teacher Notification 2018 from Links provided here or from Official Website. Participants should not complete 18 years of Age and not more than 40 years of age for Rajasthan PSC Teacher Jobs 2018. Candidates can apply for Links provided here for Rajasthan PSC Teacher Notification 2018. Applicants must prepare strongly for RPSC 2nd Grade Teacher Jobs 2018. Participants should read details given in Official Notification. Salary Package for Candidates who apply for RPSC Teacher Jobs 2018 is made on the basis of Pay Matrix Level 11. For Further More details Participant must check Rajasthan PSC Notification 2018. Here we provided you links to Download RPSC Notification 2018. Candidates should be selected on the basis of Marks obtained in Written Test for Rajasthan PSC Teacher Vacancy 2018. Rajasthan Public Service Commission will be going to conduct written Test for 2nd Grade Teacher Post. Written Test will contain objective Types Questions. Participants may also consult to RPSC Notification 2018 either from an Official site or from links provided here. candidates may apply for links provided here from 23.04.2018. Participants should pay Application Fee according to their Category. Here we provided you table which contains RPSC Teacher Recruitment 2018 Application Fee. 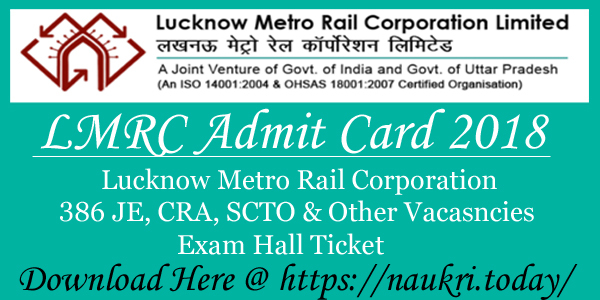 Candidates may also check details from Official Notification of RPSC Sr. Teacher Vacancy 2018. A participant should check easy steps to fill Application Form for RPSC Teacher Recruitment 2018 given below. Aspirants may also check official website of Rajasthan PSC Teacher Job 2018. Candidates should check Eligibility Criteria before applying for RPSC Teacher Vacancy 2018. Secondly, Candidates may search for Recruitment Section at Homepage. After that Candidates should check age limit, Eligibility Criteria and much more. then Applicants must fill up their Application Form. Candidates should note down Password and Registration Number for Feature use. Applicants may submit their application Form. Conclusion: Rajasthan Public Service Commission has declared 690 Vacancy for the Post of 2nd Grade Teacher. Interested candidates can apply for RPSC Teacher Recruitment 2018 from 23.04.2018. Applicants must fill up their Application Form before the Last date that is 12.05.2018. Participants may also check eligibility criteria, age Limit and much more here.